I've created a series of custom graphics, largely focussed on military history topics. Plus, I have also done custom image creations (mostly stitched consim map images), custom graphic modifications, as well as photography. The only disclaimer here is that I have not collated all of my books yet, it is an ongoing project, however it does provide an idea of what there is. Well mostly consims, that is... I believe that my collection says a lot about who I am. I have to say that I spend the vast majority of my time playing simulations that are basically tabletop/miniature simulations, in style, detail, presentation, & complexity. 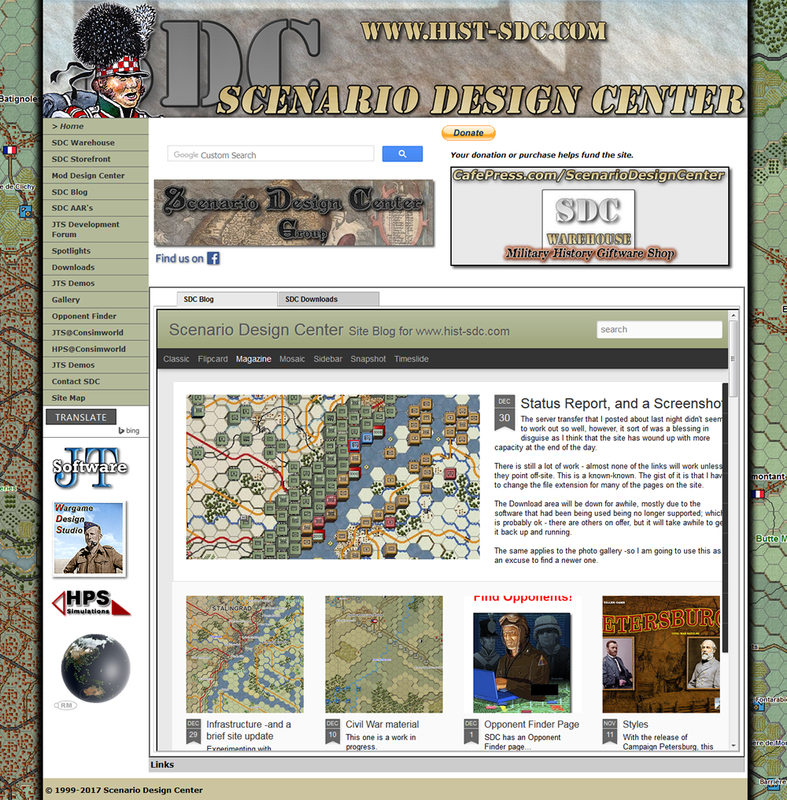 I have owned and operated Scenario Design Center (or Centre if you will) since about 31 October 2009. Scenario Design Center aims to provide you with utilities and ideas to create custom scenarios for use with titles released by John Tiller Software as well as John Tiller's and Paul Bruffell's games from HPS Simulations. Also supported are John Tiller's games through Talonsoft Games. This site is not owned and/or operated by any game company, and as such all material posted here should be considered unofficial; the above companies are not responsible for providing support for anything found on this site (although SDC may be able to assist in some cases). Interested in "the history of the thing"? Check out Archive.Org's collection of my prior work. Then have a look at prior iterations of Scenario Design Center and my work SPWGame on Archive.Org to see where they have been before I began working on those sites.